The SLS AMG E-Cell Concept was just the beginning. A lot has changed in just a couple of years, and premium performance automakers like Mercedes-AMG are now accepting the fact that electric vehicles are here to stay – and will eventually replace both internal combustion and hybrids. Eventually. In the meantime, Autocar recently spoke with Mercedes-AMG’s director of vehicle development, Drummond Jacoy, about this all-EV future, and he was quite frank about what the automaker needs to do. “It’s obvious we’re not going to make the world happy with V8s for the next 200 years, and AMG has shown in the past, with the electric SLS years ago, that is has the capabilities in all-electric drive,” Jacoy stated. 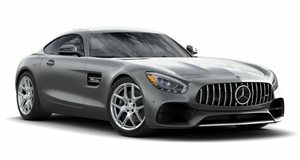 “That was a very impressive vehicle for its time and we’ve nurtured that technology and the learning we have from hybrid vehicles.” But Jacoy believes what really sets AMG apart from its main competition is its ability, when necessary, to reinvent itself instead of clinging to old habits and, subsequently, technologies. “As soon as Mercedes starts a car, we’ll look at what we can do. We’ll have to reinvent ourselves there (with electric cars), obviously, because the sound of a V8 is not going to be there if it’s a pure-electric vehicle. “It’s not starting from scratch, but we’re going to have to look at what the AMG story is with an electric vehicle. But we’re working on that.” For now, Mercedes-Benz and Mercedes-AMG will continue rolling out new models with state-of-the-art powertrain tech, both internal combustion and plug-in hybrids. But the writing is on the wall, and Mercedes-AMG sees it clearly. Does this mean it’ll drop V8s next year or the next, or even in five years? No. But as EV powertrain and battery technologies continue to improve, we can be sure Mercedes-AMG will be at the forefront. An all-electric Mercedes-AMG sports or supercar is only a matter of time.